Grab your partner and head out for few! 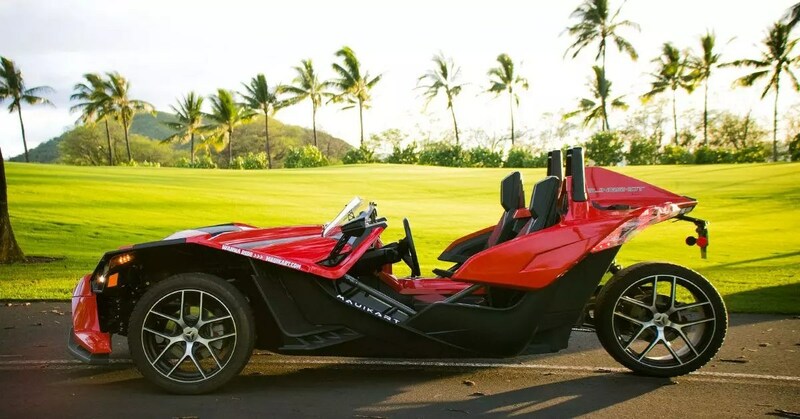 [Pro tip] Polaris Slingshot rental is perfect for a ride around the towns of Wailea, Kihei, Makena or a quick cruise to Ma’alaea Harbor, Maui Plantation, Kahului and Paia town. 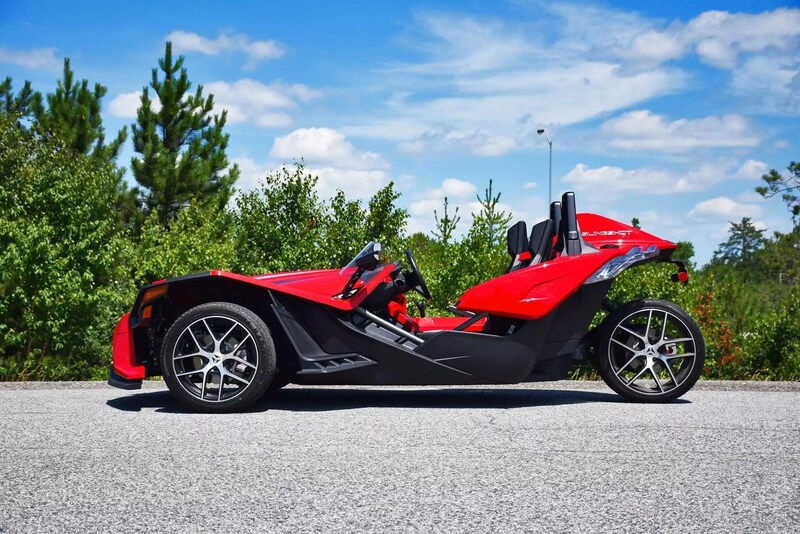 This package also great for those who want take opportunity to go on the date in style, have a photo-shoot or test drive our Kart. You choose where and what you want to see. 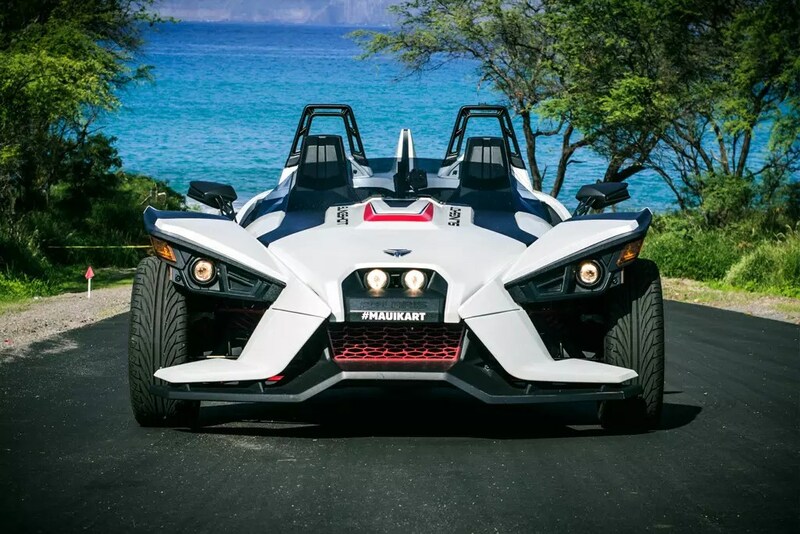 [Pro tip] Decided to spend half day on the road, with this slingshot car ride favorite spots to visit are Lahaina, Kaanapali Beach, while up north you might want to see surfers at Kapalua beach / Honolua Bay. On the way back, you may still have time to visit Ma’alaea Harbor, Kihei and Wailea. 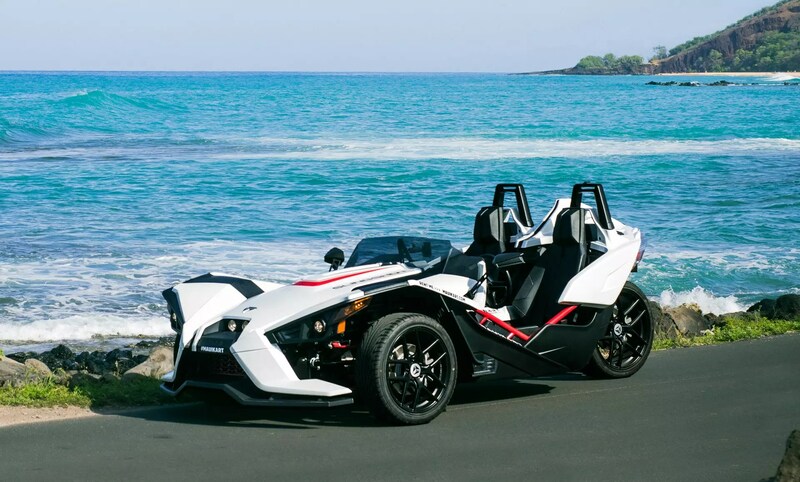 Cruising down the South Kihei road will surely bring attention to your riding! The day you being waiting for, enjoy your adventure! Adventure is in your veins, ho`oio! [Pro tip] You are on the mission! In two full days of fun, you are most likely (weather permitted) can see most of Maui. It's up to you, to split riding the west side of Maui on the first full day and start your next morning trip to Haleakala then finish it of with road to Hana. 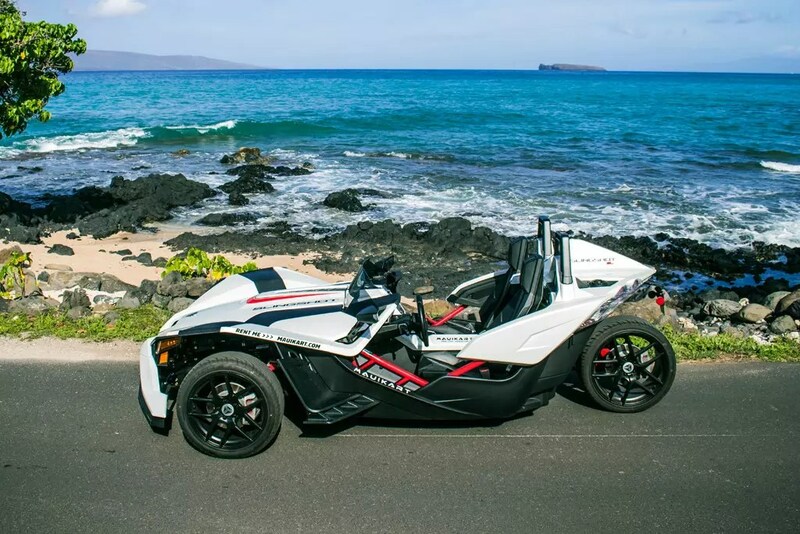 No matter where you go, two day rental will be plenty to satisfy your taste of real Hawaiian Aloha. Let's go on adventure together, we do the driving! [Pro tip] Hey, you just want to relax and visit the best that Maui has to offer, we understand that! That is why we have this option for you, We are here to take you on adventure. You will be paired with a driver for 7 hours, who will guide you on the route of your preference. We have few route options where we can take you, but no matter what route will take, you will have plenty of fun.